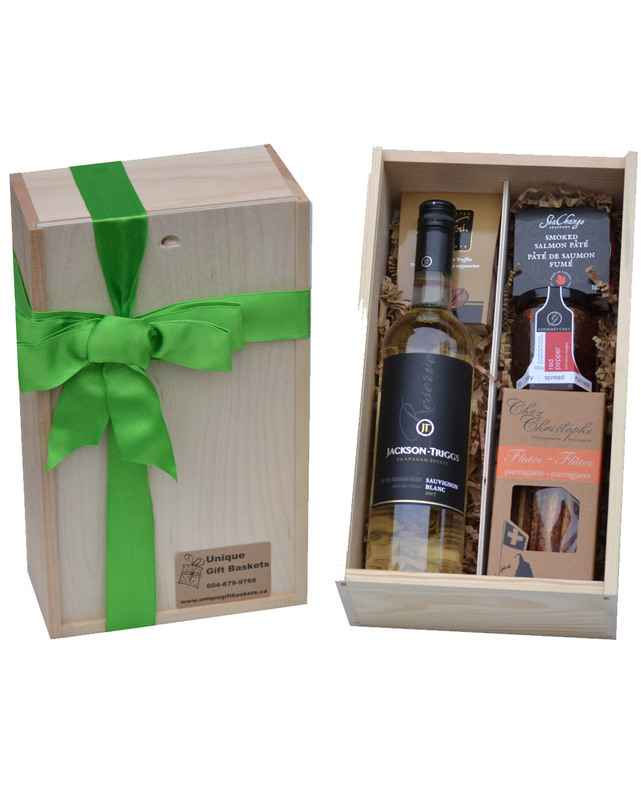 Our contemporary Vancouver made wooden gift box makes the perfect corporate gift. This gift box is filled with B.C. Products and B.C. Wine, great for sharing! The B.C. Gift box can be customized to feature your corporate logo on the outside of the box or engraved on the lid. CUSTOM LID LOGOS CAN BE PRODUCED. CALL US FOR PRICING.